THIS LOT IS AMAZING IT SITS ON THE MOST PEACEFUL BLOCK IN ALMAR ACRES! YOU WILL BE WELCOMED INTO ALMAR ACRES RESORT AND SPA WITH IT'S NATURAL MINERAL SPRING POOL,TWO JACUZZI TUBS,A SAUNA AND A CLUB HOUSE THAT WELCOMES NEW OWNERS LIKE FAMILY.THIS IS A DESIRABLE CO-OP OWNERSHIP OF 55 & OLDER PEOPLE ENJOYING THEIR 182nd OWNERSHIP IN THIS RESORT COMMUNITY. LOW MONTHLY DUES,WITH WATER AND ELECTRICITY ON SITE AND IN USE. THIS LOT COMES WITH A STORAGE BUILDING . 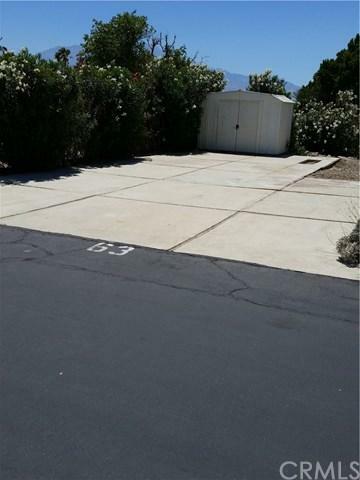 THIS LOT IS MODEL READY FOR A UNIT & PERFECT FOR AN RV WHILE YOU DECIDE WHAT BEST FITS YOUR LIFE STYLE. 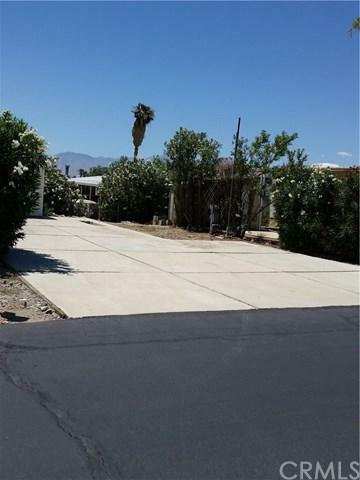 COME BY AND CHECK OUT THIS SLICE OF DESERT LIVING AND PEACE OF MIND.